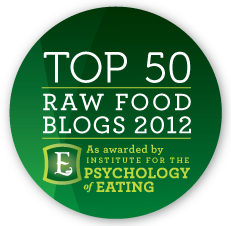 Love Raw: Happy New Year!! And a whimsical chocolate recipe. Happy New Year!! And a whimsical chocolate recipe. 2012 is coming up. I'm not up for new year resolutions.. You only tend to break them in the end. Making a Revolution is way better! 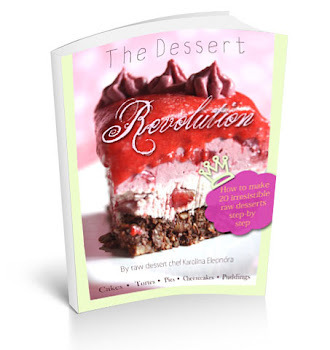 The difference between a resolution and a revolution, is that a revolution is a process with no physical goals, no strive for the perfect, only for the inner satisfaction of completion. • following my heart to 100%. • I want to help build heaven on earth. • I want to invest my gifts in the service of others. • I want to inspire people to love the small things. • I want to empower people to see their inner value and importance. And, some new years goodies! 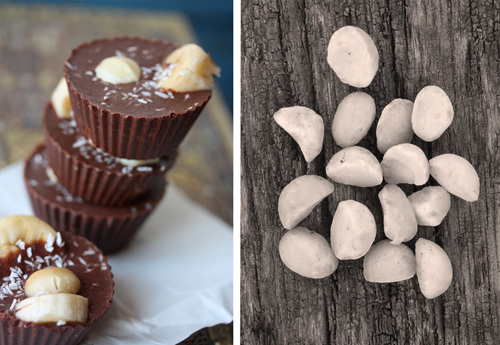 These super food chocolates has a little bit of everything in them. It's a creative concuction made by me and Jakob (he's the one responsible for the banana and the shredded coconut). If you don't want banana in them, or shredded coconut just skip it :) (In Swedish further down). 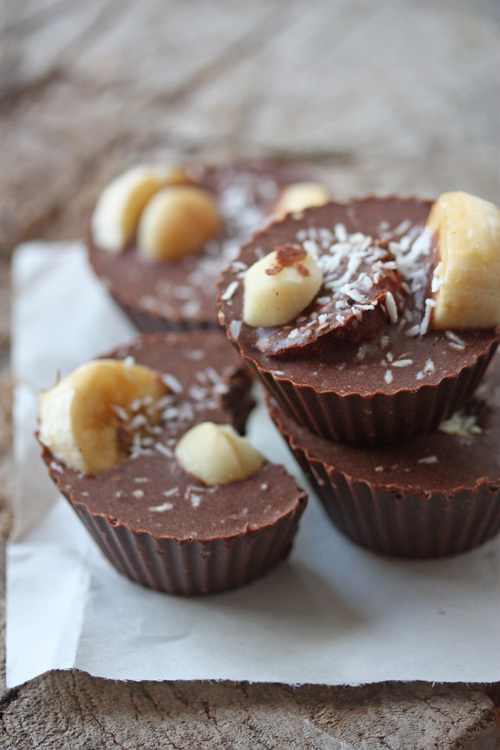 Melt the Cacao butter and Coconut oil, put in a bowl and blend all the dry ingredients. Cut the Banana in slices and pour the chocolate in silicon forms. Add some Banana and Macadamia nuts on top for decoration. Put in the freezer for about 40 minutes and they will be ready to be eaten! Smält Kakaosmöret och Cocosoljan, häll i en skål. Blanda i alla torra ingredienser. Skär Bananen i skivor och häll allting i silikonformar. Dekorera med lite mer Banan och Macadamianötter. Placera i frysen ca 40 minuter tills de är hårda att ätas! I made a 2012 inspirational collage, that sums up some of my dreams and focus for the coming year. 2012 is going to be an amazing year, in terms of completion, rinsing and change. I wish you to have the best year ever! Such fun treats & I like your favorites collage too! Happy New Year! I hope it brings you much serenity and the chance for you to go after and catch all of your dreams and hopes for yourself and others. 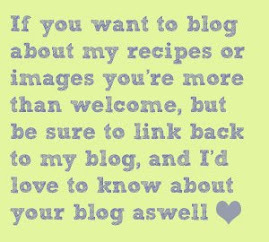 I look forward to following your adventures and hopefully trying out your incredible recipes. 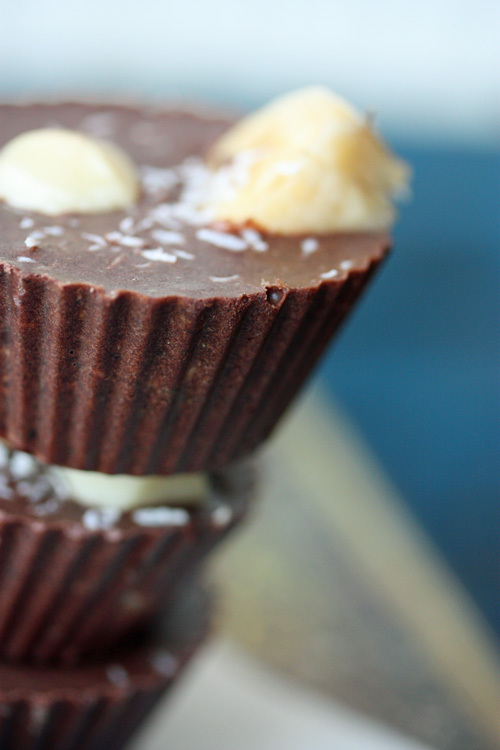 I love how this chocolate cups look, I can't believe how great they sound what a great blog! I love it This chocolate makes me more hungry. ok, I will try to make it. Happy New Year! And that chocolate looks delicious! När kommer den nya boken? 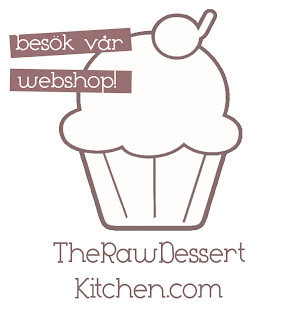 Madde: Alla recept, foton och grafik är färdig. Den engelska beta verisionen är färdig, och den svenska ska just påbörjas. Jag gissar att den kan vara redo för försäljning inom en månad!